The electronic opportunities are here and now – we are eons from the Dark Ages when monks and scribes would copy manuscripts by candle light — each scroll, one after another — over and over again. Today, there are a number of universities and municipal library systems engaged in scanning their archives and digitally storing them for future mankind. However, all of these projects depend substantially on Federal grants and matching funds. A successful example is Springfield, Missouri (Green County Library) where they have digitized their collections of postcards and local heritage books now made available to public access. During the past decade or so, magazine, book, and newspaper industries have maintained their files for future reference or for reprint. This cost is nominal since these writings are already created by modern word processors. However good these attempts, mountains of past records are in continued process of destruction. Consider the fate of the Bettmann archive, which began as two suitcases of holocaust images smuggled out of Nazi Germany by Otto Bettmann. Appealing to others, his collection grew to 11 million historic photographs. This collection is now in the possession of Corbis, a Bill Gates Microsoft company. Upon acquisition of the archive, the plan was to digitize all its images, but the amount of time it takes to digitize those pictures has proved longer than many of the pictures would last, unless properly stored. As a result, the Bettmann archive, in addition to other large collections acquired by Corbis, is now stored 220 feet below ground in a limestone mine not far from Pittsburgh, Pennsylvania. There is very little being performed on local community levels towards digitizing historical documents. In recent years, the Mormons made copious xerox copies of stored records at our Gulf Coast courthouse vaults. 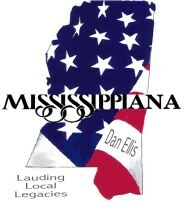 The Harrison County Library System moved most of its collections pertaining to Mississippiana to the Biloxi Library archival headquarters under the supervision of one Librarian assisted by a short list of eager and able volunteers. Slowly, each day, digitized scanning takes place — quite undaunted by the monumental task. Close to home, here in Pass Christian, the Billy Bourdin Historical Collection is quite massive and handled by the studious and tender care of Billy, himself, as he continues to copy, clip, and merge newspaper articles and xerox copies of correspondence into his hanging file records of people, places and events. Fortunately, his cheery cohort, Jessie Heitzmann, has aided him greatly by scanning his substantial photograph collection into a computer data base of 3000 images and growing. The Pass Christian Historical Society acquired a computer system to digitize its collection of archival data which is being handled by a small cadre of interested volunteers. The Town Library’s extensive book collection continues to be culled and categorized by a dedicated group of volunteers. It goes to prove that there is an ongoing interest in digitizing our history at the city, county, and regional Gulf Coast as a contribution to south Mississippi’s great and wonderful heritage. I urge other writers of history as well as all “coastal history buffs” to aid and abet the digitizing of files available to them — to be sent to sanctioned depositories which have yet to be established. In the meantime, efforts should be made to scan family histories and photographs, maps, correspondence, etc. I will certainly do my part to begin making my data collection of researched material and other information available in this dedicated site with a number of sub-domains. Anyone interested in participating in their own site is more than welcome. Anyone or any event committee or chairman is welcome aboard.